In 1961, Queen Elizabeth II and Prince Phillip visited the Kingdom of Nepal. They were warmly received by the people. King Mahendra Shah, as a host, entertained the British royalty by arranging a game of hunting in the country’s wildlife. More than half a century later, Prince Harry was given the same hospitality. Prince Harry, however, decided to visit earthquake victims and hear their stories while physically participating in a shelter reconstruction process. He also stopped by the World Wildlife Reserve of Bardia, promoting conservation and wildlife in Nepal. The two events explain what has sustained British monarchy to this day: the British royalty understands the value of moving with the times. This progress has its roots in Magna Carta of 1215 and the Glorious Revolution of 1688 that led to signing of the Bill of Rights. This series of events greatly reduced powers of monarchy and empowered the parliament. Britain had not developed into a full democracy even after Glorious Revolution. But civilians could still file their petitions at the parliament. This led to further parliamentary reforms. 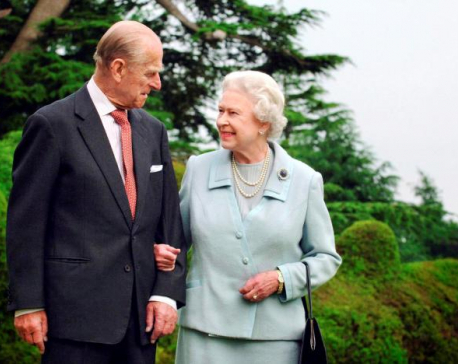 Over time, the monarchy also transformed itself to the liking of the British people. The shift of power to the parliament after the Glorious Revolution helped make British political and economic institutions inclusive and pluralistic. The state instituted a system that relied more on the capabilities of civilians rather than on political appointments. Nepal took the opposite route. Nepal’s monarchy tried to centralize political power and refused to move with the times. The country took the first step to this decline on the day Junga Bahadur Rana orchestrated Kot Massacre in 1846 and took over powers. This could be interpreted as the first national tragedy of Nepal after its unification in the mid-eighteenth century. The next 104 years of Rana rule signified a period of darkness for Nepali people who were systemically oppressed and denied civil and political rights. The Rana rule also marks a period when Nepali state actors started to serve the interests of foreigners. Constitutional monarchy was restored after the successful revolt led by Nepali Congress and King Tribhuwan in 1951. However, the nascent democracy hadn’t even taken roots when, in 1960, King Tribhuwan’s successor, King Mahendra, instituted the party-less Panchayat system. Opposed to nurturing inclusive institutions and embracing the idea of an egalitarian society, the king kept Nepali people isolated for three more decades. His successor, King Birendra, restored constitutional monarchy and multi-party democracy in 1990. The liberal king had an opportunity to change the face of the country and ensure the longevity of his institution. If he had acted with foresight, he could have helped avert the civil war that took over 15,000 lives. Then, in 2001, the unthinkable happened. King Gyanendra dissolved the elected parliament and became an absolute ruler. The 2006 people’s movement subsequently dethroned him. The rest is history. In retrospect, it can be said that the Shan and Rana rulers subverted meritocracy as all important public posts were filled with their near and dear ones. The Shahs and Ranas were also fearful that egalitarian policies would bring an end to their rule. This is why they built extractive institutions to perpetuate their rule. Unfortunately, even though monarchy and Rana oligarchy are now history, multiple crownless kings and queens have emerged to misuse state resources for their personal benefit. Meanwhile, our dependence on foreign countries has also deepened. Our country will never develop so long as political power is monopolized by a small band of elites who rule to preserve the status quo. So we need our own Glorious Revolution here in Nepal. We need to empower our democratic institutions so that they stop acting as adjuncts of the ruling elites and rather serve as a formidable force of inclusiveness where power is shared among people of all ethnicities and ideologies.